In this section you will find the latest events related to the XoSoft project. Poster on "First Functional Testing Results of a New Soft Modular Biomimetic Lower-Limb Exoskeleton (XoSoft) in Geriatric Patients with Moderate Gait Disorders"
Dutch Design Week (DDW) takes place in Eindhoven. DDW is different from other design events, because it concentrates on the designs of the future. Although during the event every imaginable discipline and aspect of design is on offer, the emphasis is on experiment, innovation and cross-overs. Exceptional attention each year goes to work and development of young talent. International Conference on Intelligent Robots and Systems. Demonstration of the XoSoft Gamma prototype during the conference. The International Symposium on Wearable Robotics. Researchers and innovators from all around the world will discuss novel approaches, challenges and potential solutions in technologies for wearable robots. The international conference on PErvasive Technologies Related to Assistive Environments (PETRA) is a highly interdisciplinary conference that focuses on computational and engineering approaches to improve the quality of life and enhance human performance in a wide range of settings, in the workplace, at home, in public spaces, urban environments, and other. XoSoft Presentation on Basic functionality of a Prototype Wearable Assistive Soft Exoskeleton for People with Gait Impairments – A Case Study as part of the Session Assistive Robotic Systems and Human-Robot Interaction. Catch Massimo Totaro's presentation with the title "Materials and Technologies in the XoSoft project, a soft exoskeleton to assist people with mobility impairments" on 28 June 15:55. More information in our news article. 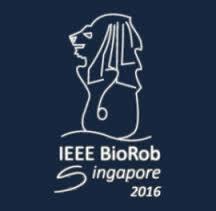 Biomedical research and clinical end users fully inserted in the framework of international research in bioengineering. Demonstration of the XoSoft Beta1 prototype during the conference. At this exhibition, researchers, engineers, managers, and a growing number of entrepreneurs and business people from all over Europe come together to discuss topics and contents which has an immediate impact on the roadmapping process for robotics in Europe. 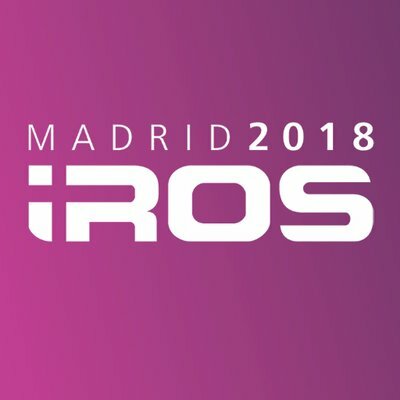 The IEEE-RAS International Conference on Humanoid Robots is the prime event for researchers working in the area of humanoid robotics including mechatronics, control, biomechanics and neuroscience. A week-long event that brings together different conferences in the field of rehabilitation technology at the same time and place in order to foster cross-disciplinary communication and the development of relationships between different players. The Hamlyn Symposium on Medical Robotics allows surgeons and engineers from across the globe to experience the latest developments in medical robotics. The symposium annually attracts world-leading scientists, engineers and clinicians from a wide range of disciplines associated with medical robotics and surgery. The first European business convention dedicated to innovation in the Silver Economy, gathering 600 actors from research to market. Organised in three tracks (“From needs to ideas”, “From ideas to innovation” and “From innovation to market“) the AgeingFit conference programme will discuss all the aspects of the healthy ageing sector. The 2016 International Conference on Neurorehabilitation will bring together researchers and students from the fields of Clinical Rehabilitation, Applied Neurophysiology, and Biomedical Engineering to promote, feed and encourage this therapeutic global shift. The 7th International Conference on Applied Human Factors and Ergonomics 2016. The conference objective is to provide an international forum for the dissemination and exchange of scientific information on theoretical, generic, and applied areas of human factors and ergonomics. The 9th international conference on PErvasive Technologies Related to Assistive Environments (PETRA) is a highly interdisciplinary conference that focuses on computational and engineering approaches to improve the quality of life and enhance human performance in a wide range of settings, in the workplace, at home, in public spaces, urban environments, and other.